Small, light, neat, but lacking the kind of sparkle that would really justify its high price, the Toshiba Portégé R830 certainly has a market, but could have garnered a larger one with a little more attention to detail. 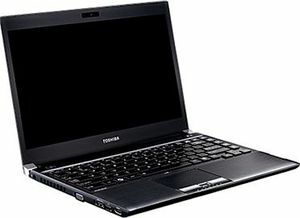 The Toshiba Portege R830 aims to put some serious firepower at your fingertips when you're on the move. Our version of the Toshiba Portege R830, the R830-138, offers great performance and some smashing features, such as integrated mobile broadband. There's no denying that it's very expensive for a 13-inch laptop, though. The Toshiba Portégé R830 isn't perfect. Not everyone will like the keyboard and it's not cheap, but it's stylish, well-built, has USB3 and lengthy battery life too. It's one of the best ultraportable laptops we've seen yet. Those who need the longest possible battery life should still opt for the 13in MacBook Air though, despite its ageing processor.